Continues until 25th March 2018. The National Museum of Antiquities is bringing Nineveh to life for its visitors. Some 2700 years ago, Nineveh was the largest city in the world. 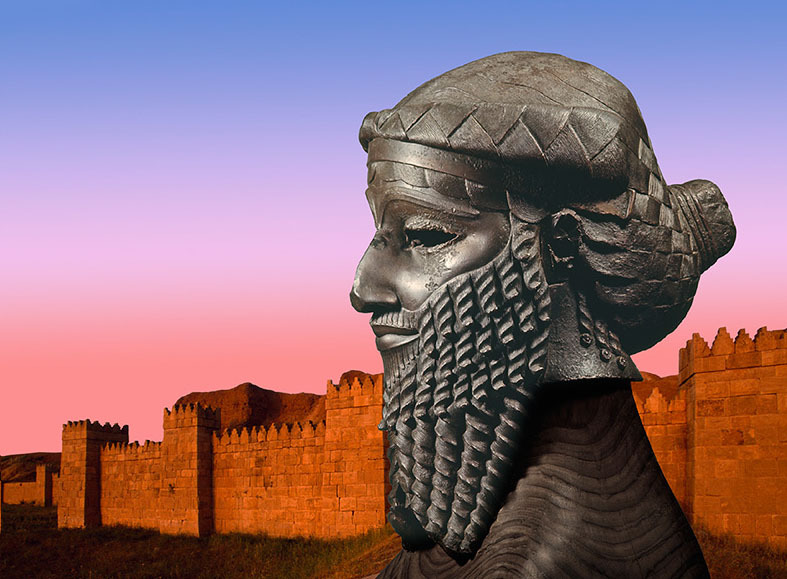 The exhibition Nineveh – Heart of an Ancient Empire takes you back to the heyday of the New Assyrian capital in what is now northern Iraq, around 700 BC. You will see more than 250 objects from Dutch and international museums such as the Louvre and the British Museum, including reliefs, statues, clay tablets, and cylinder seals. Of particular interest are the large reliefs from the city palaces and the reconstruction of one of the rooms in the palace of King Sennacherib. Reliefs play a leading role in the exhibition: not only as consummate examples of craftsmanship, but also as carriers of valuable information about the history of Nineveh and everyday life in the city. Reliefs are images carved in stone in meticulous detail. They were the artworks of the Assyrian royal palaces. Virtually every palace wall was covered with picture stories carved in stone. It is estimated that Nineveh contained over fifteen kilometres of wall reliefs. The panels depict historical and fictional stories, starring the king as the heroic protagonist. In the exhibition rooms, besides dozens of reliefs you will find statues of gods and winged creatures, rare ivory marquetry, cylinder seals, glazed pottery, weapons, and a gold death mask. Clay tablets from the first library in the world, the brainchild of King Ashurbanipal, provide an abundance of information about the Assyrians’ way of thinking as well as their language and script. Around 700 BC Nineveh had a population of over 100,000, and was for a time the largest and most important city in the world. Walls stretching for kilometres and punctuated by majestic gates encircled the city with its impressive palaces, temples and monuments, its countless little streets and lush parks. It was from here that the immense Assyrian Empire was ruled, by kings with exotic names such as Esarhaddon and Ashurbanipal.